Comfortable and trendy cotton polo, 100% ring spun, combed cotton (190 g/m2), with a three colour contrast at reversed side collar, necktape and at sleeve cuffs. Placket with 3 buttons. 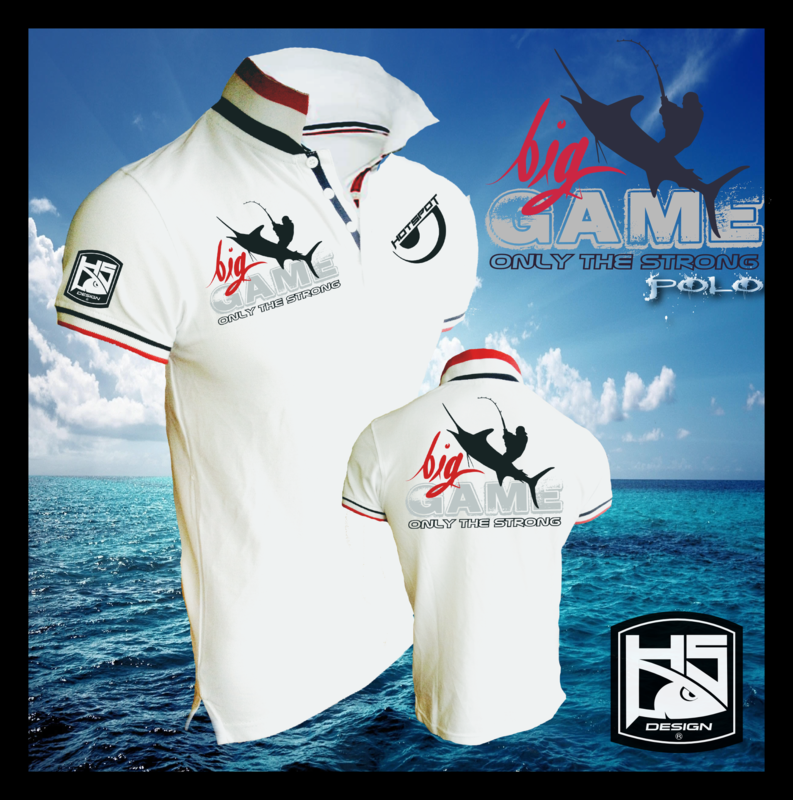 The Big Game polo dedicated to the ones ("Only the strong") who are able to catch the biggest and strongest sea predators, product featured by the well visible embossed printing for the text "Big" and a mix of colours printed in the same tonality of the three colour polo contrast. 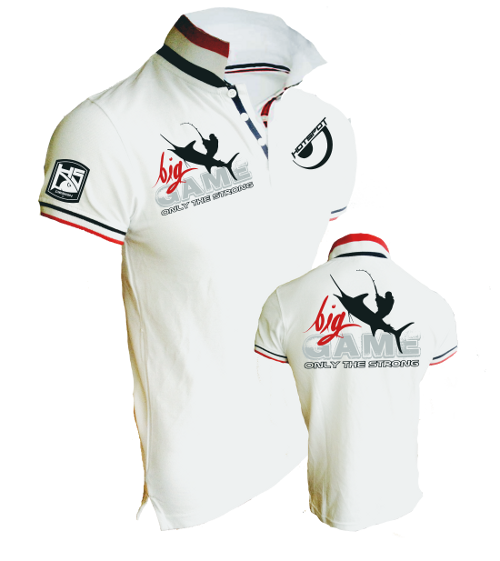 There is no need to comment the result, it is clear that it is a wonderful and fashionable polo.